Nothing quite screams ‘holiday’ like a hammock. Even when you are not actually going on vacation, having a hammock suggests that you are now switching to relaxation mode and are not willing to be stressed out. It could also be just the right cue to indicate that summer has finally come. 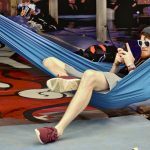 There is a lot of fun stuff you might enjoy knowing about hammocks, despite them being the most straightforward furniture which you will ever come across. Are hammocks a kind of furniture, really? Well, they are used to sleep, sit and lounge on. Other items used for those purposes include beds and chairs, so there’s your answer. The swinging bed’s name is borne of the Spanish word ‘hamaka,’ but even this was borrowed from the Taino and Arawak. This is the first indicator that hammocks are so universal that it is difficult to point to a specific place of origin. The design of the hammock varied from place to place, but their initial recorded use was in North America, in sailing vessels and along different coastal areas. Some sources indicate that hammocks were initially used to reign in wandering toddlers. From the initial look, it may appear as if the foetal position of sleeping in a hammock may be harmful to the back. On the contrary, however, the sleeping positions in a hammock offer numerous benefits both to the physical body and the brain. 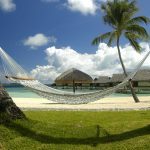 Any General Practitioner will tell you that sleeping in a hammock helps you to fall asleep faster and sleep deeper, setting in motion a series of sleep benefits. And you don’t even have to visit a clinic to get these insights! 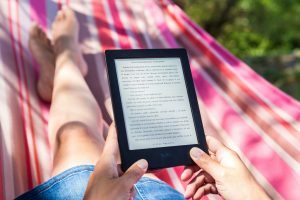 You can just click here and learn how you can talk to a GP from Livi (a team of GPs assisted by tech gurus) from the comfort of your hammock! 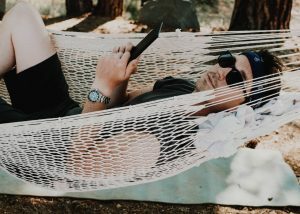 What Is the Best Type of Hammock for You? There are numerous types of hammocks, yet they all are mostly the same; a hanging piece of fabric that you can hop on. Variation is brought by aspects such as length, fabric type (net or cloth), height and mode of suspension and location. 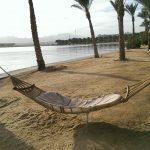 The right hammock for you will thus depend on the purpose you intend to use it for, and the place you want to hang it. A hammock for sitting in and reading, will not require to be as long as one for sleeping in. Windy areas will be more suited for net hammocks so that they are not continuously blown about, especially when not in use. 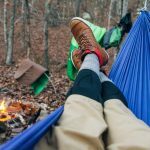 If you intend to hang and unhang your hammock regularly, then it is better to find natural hanging areas, instead of investing in poles and a complex support system. Then, of course, your budget will guide it all!